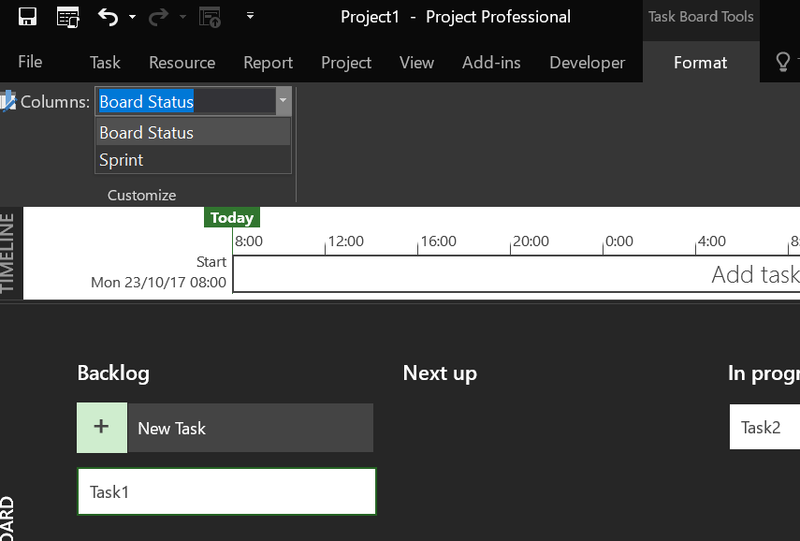 More on these in when we look at the new project types. 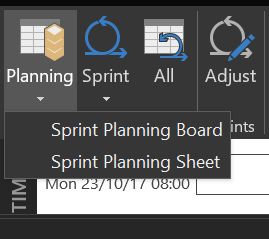 The Scrum Project defaults to open with the Sprint Planning Board as the active view. 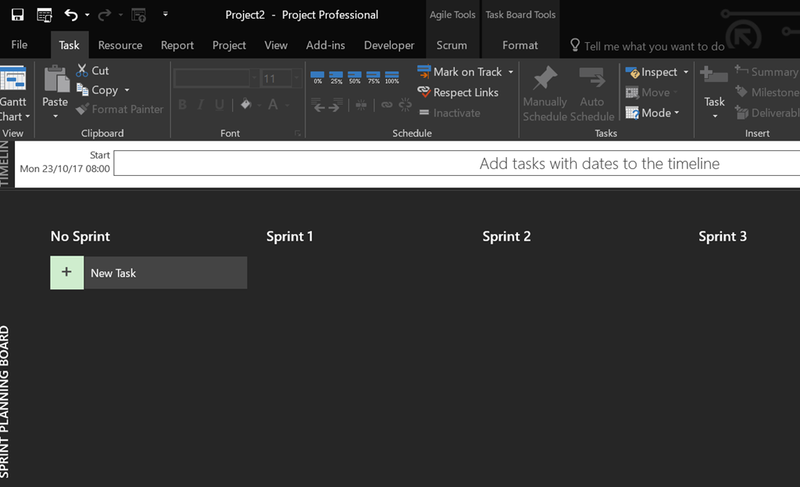 On the ribbon you will also notice there is an Agile Tools Scrum tab as well as the previously seen Task Board Tools Format tab. 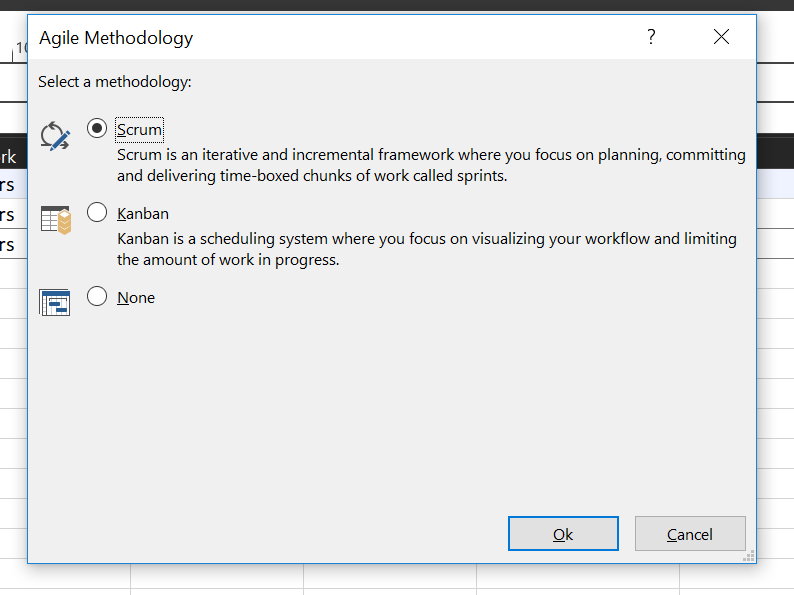 The All button enables you to switch to the Agile Tasks view which is a filtered tabular view that only shows tasks that are tagged as Agile = Yes. 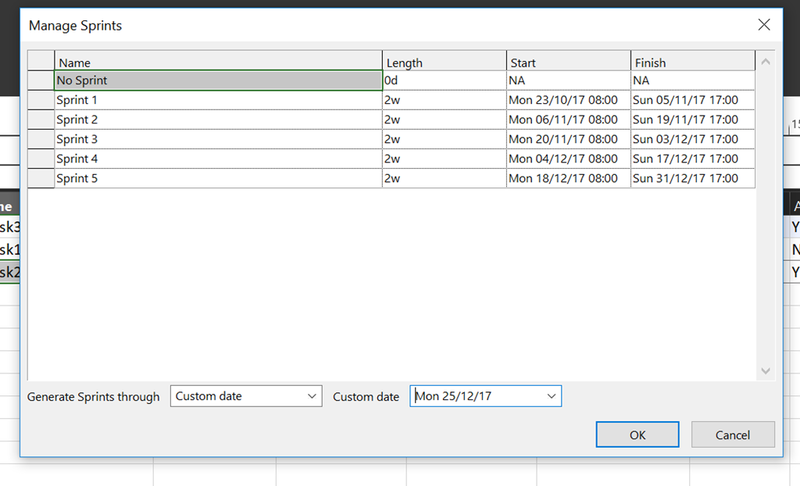 Tasks can be moved to different sprints or status using the board view with drag and drop or just the familiar drop down menus on the table views. 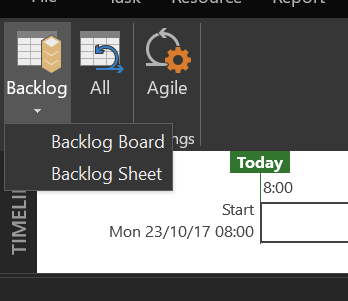 When creating a new Kanban project, the default view is the Backlog Board. 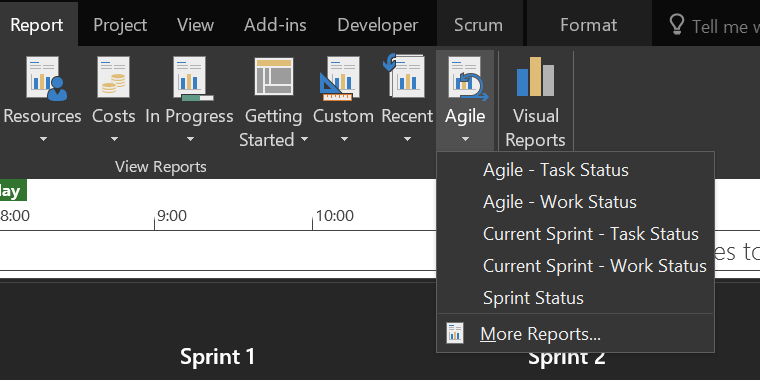 The All button enables you to switch to the Agile Tasks view which is a filtered tabular view that only shows tasks that are tagged as Agile = Yes. 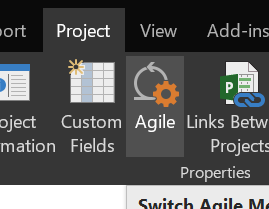 Then you have the same Agile button too. 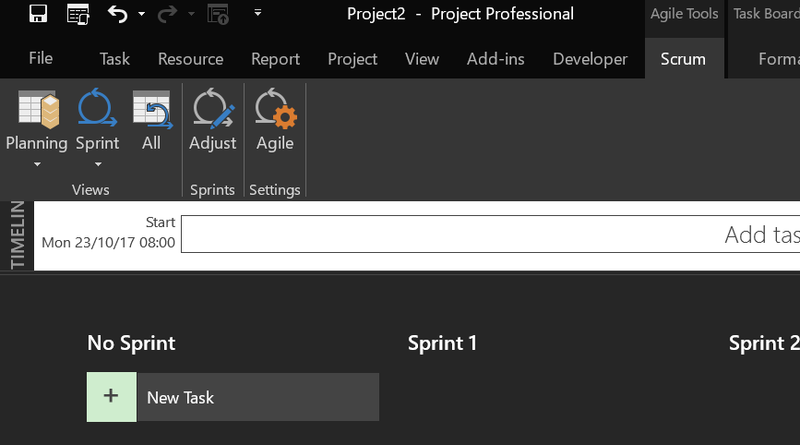 This new feature is a client side feature only, this capability is not available in PWA. 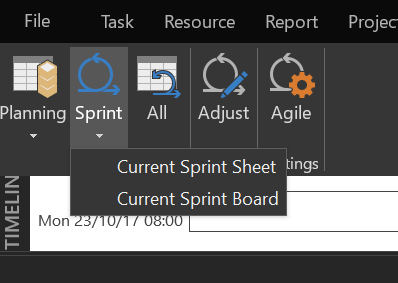 All of the new fields in Project such as Agile, Sprint and Board Status are in Project only. 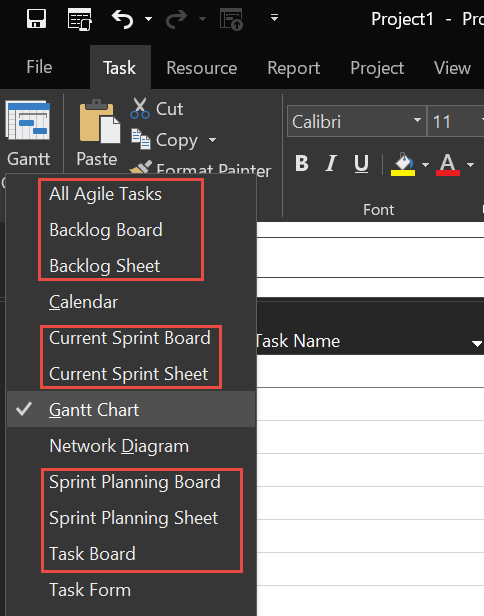 If you are looking to use an Agile methodology to manage your projects in Microsoft Project, take a look at this new feature as it allows you to manage a single project using a combination of methodologies if you wish.